The 108ft Baltic WinWin is an uncompromising, dual-purpose cruiser-racer, a lightweight carbon machine representing the latest in an increasing trend of 100-115ft performance superyachts designed for race-hungry owners who also want to cruise with a minimum of professional crew. 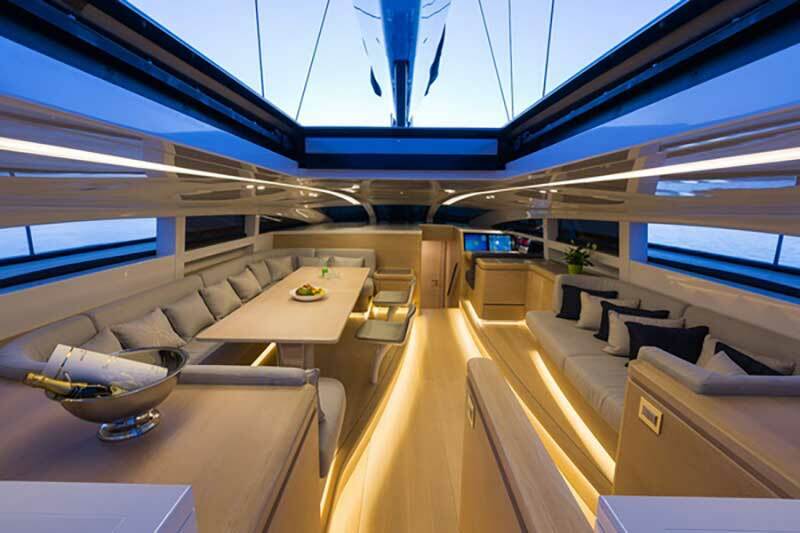 The yacht's designer, Javier Jaudenes, studied naval architecture in Southampton and went on to work for Barracuda Yacht Design. 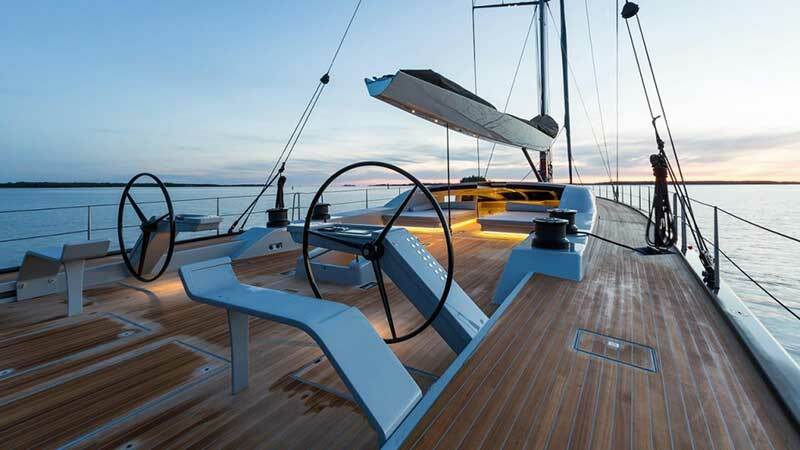 With Jaudenes background in both racing as well as optimizing other yachts, the design of the WinWin has resulted in a feisty, contemporary, lightweight cruiser-racer. Jaudenes was influenced by the latest trends in the racing scene for wide and powerful hull shapes. 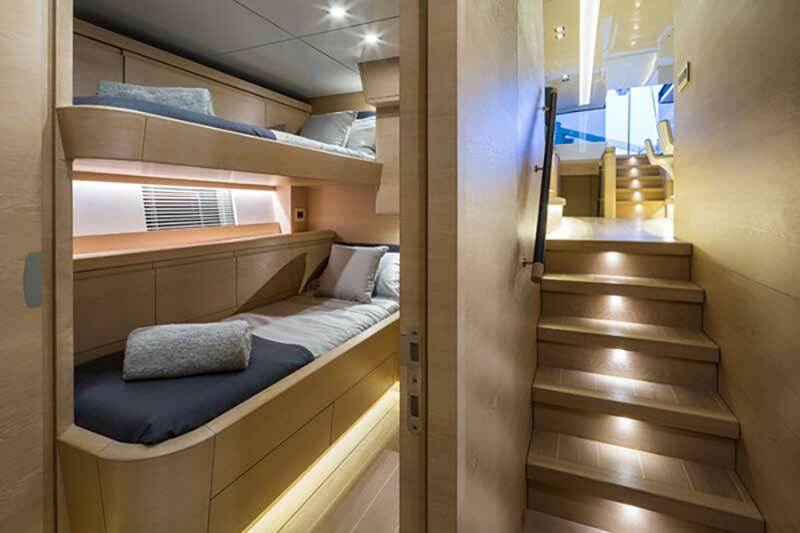 “In my experience superyachts tend to get overpowered very soon,” he says. So he drew a shape that was both very powerful when reaching and that wouldn’t need to be reefed early when cruising with limited crew. As a great design example, natural cork-cored sandwich panels were used for both non-structural and interior panels to achieve better acoustic damping. “It was striking just how quiet the boat was below with, at times, 25 knots true on deck and boat speeds hitting the high teens,” maintains Baltic’s CEO Henry Hawkins. 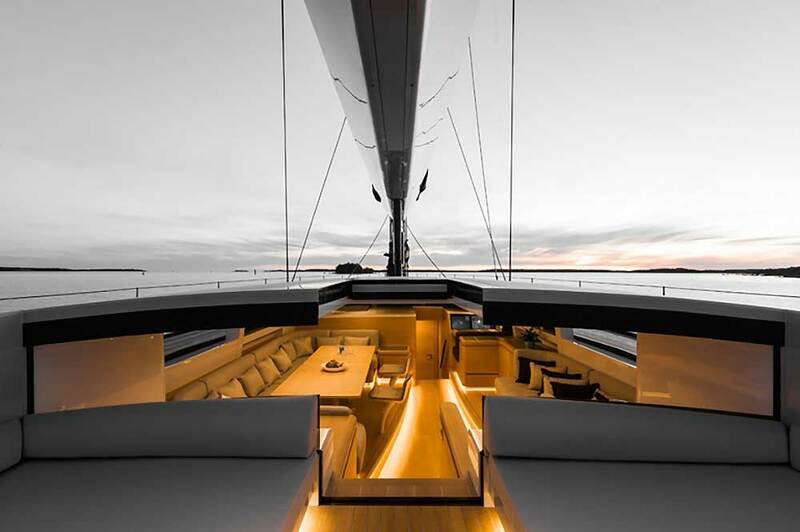 “Our efforts to keep this boat light and yet quiet have clearly worked.” The weight-saving target was strict and so this 108-footer weighs just 47 tonnes without her keel. And Jaudenes is pleased with the yacht: “She feels great: light, powerful and balanced – a boat that wants to go fast all the time.” In trials she made 18.7 knots under gennaker, and 12 knots easily upwind. “The performance potential is clear and yet notably the creature comforts have not been set aside in order to achieve this.” UK firm Design Unlimited has styled the light (in both senses) and minimalist interior, the forward section of which is devoted to one vast master suite. Jaudenes is also commended for the comfort of the crew area he designed at the widest point aft. “He created a place we are all happy to be,” comments Baltic’s CEO Henry Hawkins.